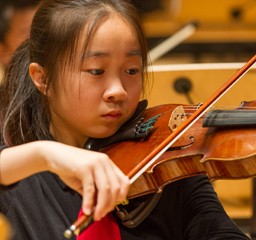 May 5, 2019, 1:00 p.m.
Pacific Symphony Santiago Strings wraps up their 2018-19 season with a program of rousing and engaging pieces, both old and new! From the intense sonorities of Vivaldi’s Double Cello Concerto to the brilliance of Brian Balmages Urban Concerto, this musical adventure is sure to provide new and exciting vistas for all to enjoy! 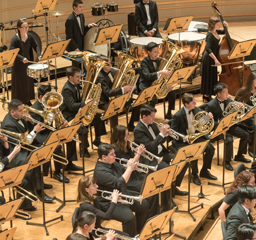 May 19, 2019, 1:00 p.m.
Wrapping up their 2018-19 season, Pacific Symphony Youth Wind Ensemble will present a program of depth and excitement, exploring the enduring musical influence of one of western music’s most towering figures and featuring performances by guest conductor Dr. Jamal Duncan and organist Kristen Lawrence. 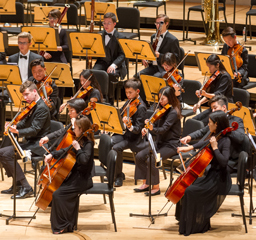 May 19, 2019, 7:00 p.m.
Pacific Symphony Youth Orchestra wraps up its 2018-19 season with one of the 20th century’s most revolutionary and influential works, Igor Stravinsky’s epic ballet, "The Rite of Spring." The concert will also feature performances by the first place winners of PSYO’s annual concerto auditions, a thrilling and much anticipated event!